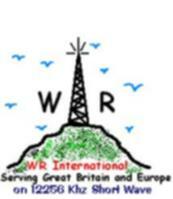 As per usual WR International will be warming up the valves Sunday 3rd April 2011 on 12257Khz at 07:00 BST. Live programs will start at 08:00 with Dave Jones, 11:00 Ed Marshall and 12:00 Pat Taylor our live transmission will end around 12:05 pm BST. Until 08:00 we are streaming none stop hits on line at http://radio.wrinternational.co.uk:8003/listen.pls this stream will switch to our live output at 08:00 BST. Happy dxing/listening if you choose to.